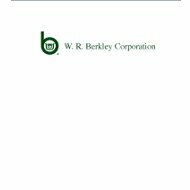 The Berkley Health Insurance Company review is a review of the W. R. Berkley Corporation. The W. R. Berkley Corporation is a property and casualty insurance provider that was started in 1967. Search for the best health insurance rates the industry has to offer today with our free online tool. Enter your zip code in the box above to begin your search now! Berkley Asset Protection Underwriting Managers, LLC. The company began as the Berkley Dean and Company, Inc. for $2,500 at the Harvard Business School. The company began writing insurance in 1972 when the company acquired the Houston General Insurance Company. The W. R. Berkley Corporation went public in 1974. During this year, the W. R. Berkley Corporation also sold Traders and General Insurance Company and the Houston General Insurance Company. In 1975, the W. R. Berkley Corporation joined the market of reinsurance by acquiring the Reinsurance Underwriters Corporation and organizing the Signet Reinsurance Company. Also in 1975, the company expanded their business into Arkansas, Oklahoma, and Texas by acquiring the Union Standard Insurance Company. By 1986, it continued to grow and expand with more acquisitions including expansion into the administrative and risk management services, and the acquisition of the Continental Western Insurance Company. In 1995, the W. R. Berkley Corporation hit the $1 billion revenue mark. Also in 1995, they acquired the Midwest Employers Casualty Company and formed the Berkley Surety Group and the Berkley Insurance Company of the Carolinas. In 2004, the company became a Fortune 500 company, had $3.6 billion in revenue, and almost $2 billion in stockholder’s equity. Today, the W. R. Corporation has shown a steady history of growth and expansion. What started as a small business, formed out of Harvard has expanded overseas and continues to grow and succeed. The second department is the regional department. The regional department focuses on commercial insurance for government entities and small to medium sized businesses. This department also deals with sureties. The alternative markets department focuses mainly on workers compensation insurance, but also writes medical stop loss coverage and hospital professional liability insurance. This department also develops and administers alternate risk transfer programs like self-insurance. The reinsurance department writes reinsurance coverage through Lloyds of London for specialty niche markets. The reinsurance department of the W. R. Berkley Corporation writes both treaty and facultative reinsurance. The international division focuses solely on all of the international business that the W. R. Berkley Corporation conducts. The company has business dealings throughout the world including in South America, North America, Australia, Asia, and Europe. Compare the best health insurance rates in your area today by entering your zip code in the box above now!